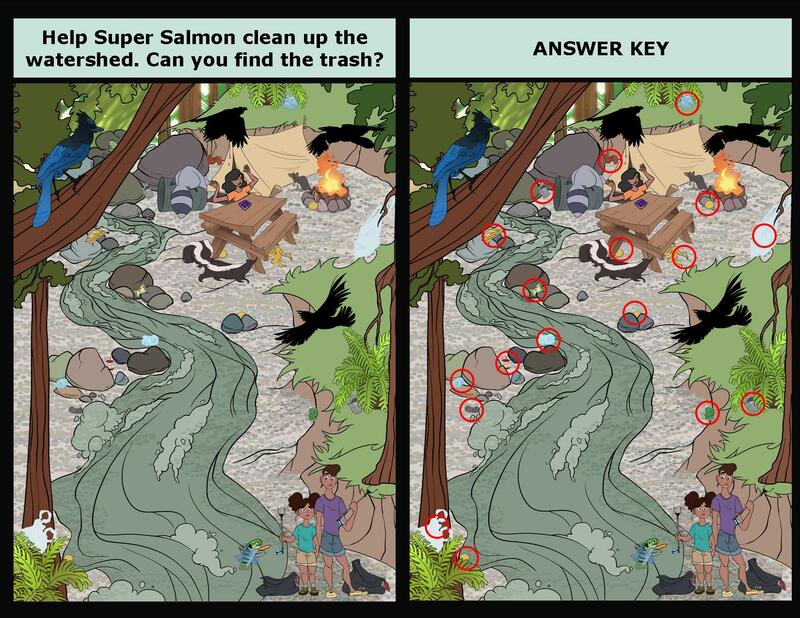 Swing by the Zoo to pick up a copy of our wonderful comic book, Super Salmon and the Watershed Heroes! Follow the journey of Super Salmon as she grows up and explores the river in the redwood forest, meeting kids and helping them to become amazing Watershed Heroes. Then stop by the pledge station on your next class visit to the zoo and have your students each make their own pledge to be a Watershed Hero! 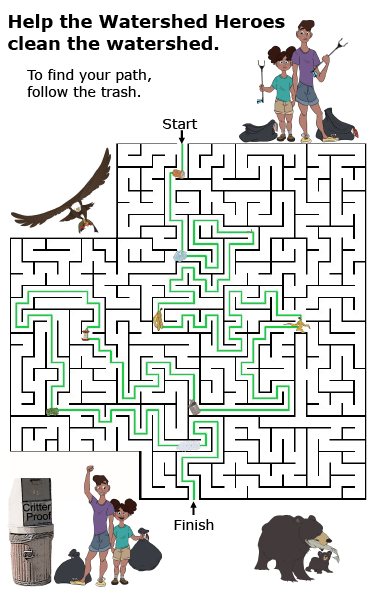 Below, you will find the answer keys for the four activities in the comic. 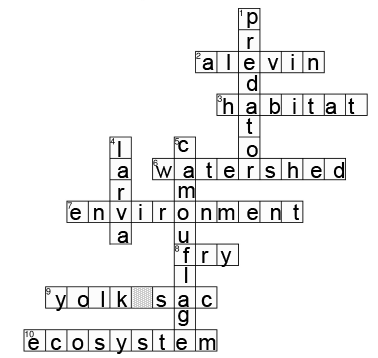 When salmon are first born, they’re called alevin and carry their food under their belly in a yolk sac. They are the perfect color to camouflage into gravel to avoid being eaten by birds, fish, and other predators. Super Salmon and her friends have gotten caught in garbage that blew into the river from a nearby campsite. She and the campers need your help to clean up the trash and make the river and the watershed safe for other fish and wildlife. 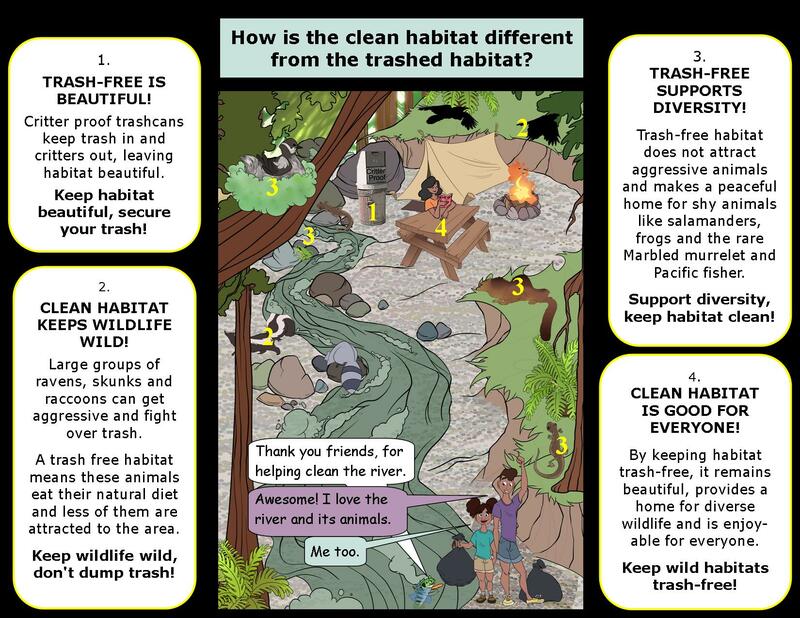 Find all of the trash around the campsite and learn how it impacts wildlife and the environment!